We sell our products via the ETSY shop. Thus, you are redirected to it when you click on the purchase of our products. Our wooden children’s knife “Coup de coeur” on ETSY. Etsy is a global commerce platform for creative entrepreneurs. We take orders from all over the world. We are over 225 000 people to use them! A Quebec-Canada eco-friendly product manufactured mainly by hand. 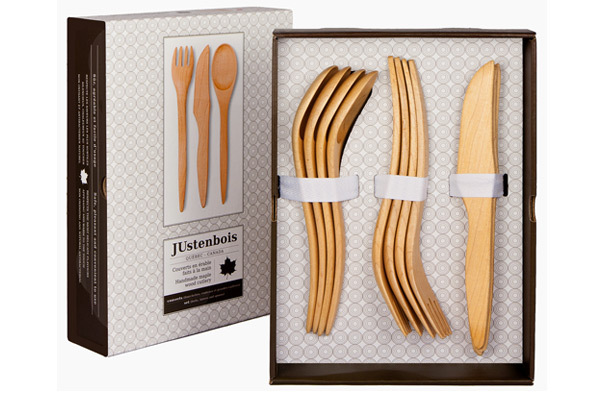 Very distinctive eco-utensils. Warm touch of wood, soothing sound to use and beautiful ergonomic curves. Why not combine PLEASURE, HEALTH, in accordance with VALUE. You care about what you eat, but …. have you thought of WHAT YOU EAT WITH? 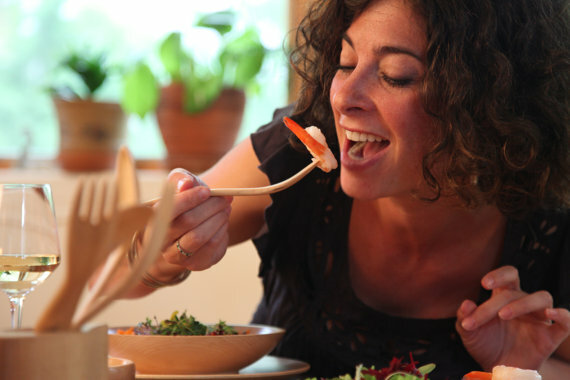 Maple cutlery is wonderfully warm in the hand and non-interactive, allowing enjoyment of food’s natural flavours. Without the taste of the metal and its oxidizing effect. We are over 225 000 people to use them daily. UNIQUE COMBINATION OF NATURALLY-OCCURRING RESINS: LINSEED OIL, WAX, ROSEMARY AND LEMON. THEY COMPLY WITH THE STANDARDS OF THE FDA – US FOOD AND DRUGS ADMINISTRATION, CHILD AND BABY. Even in the long term, it is not necessary to recover with natural treatment or oil. Ergonomic – the sensual curves and simple beauty of the maple make for a visually stunning table that is that one-step ahead in eco-consciousness. Enhancement of maple’s natural attributes make it a perfect complement to better eating and commitment to a thoughtful lifestyle. Unique non-pathenogenic qualities resist fissuring where bacteria can lurk. An insulator so foods stay warm. Attenuate sound – a respite from the usual clatter of metal on plates. 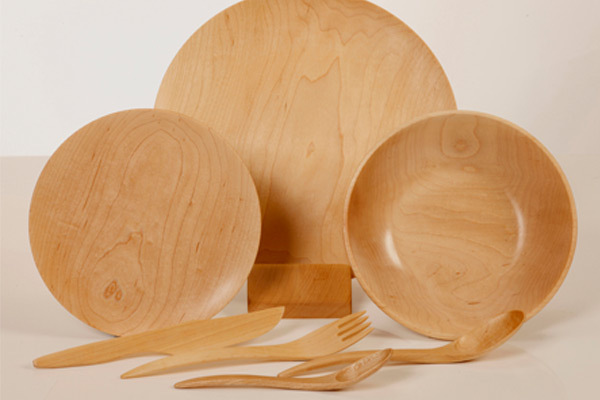 Cutlery, dishes and boards are a long-term investment in response to today’s environmental concerns. With proper care, they have a proven 12-year life, and come with a 1-year guarantee against natural defects and wood splitting. A charm every day for couples. 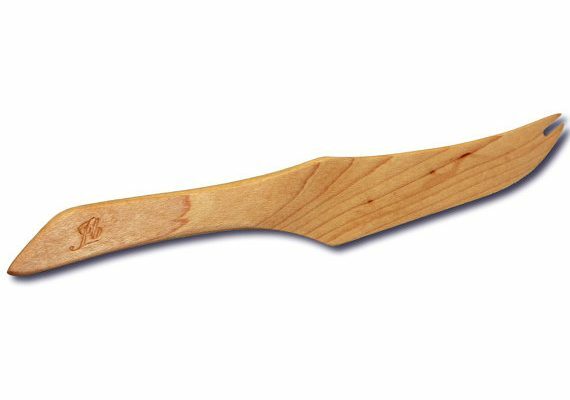 The wooden utensils are sensual and warm in hand and in the mouth. 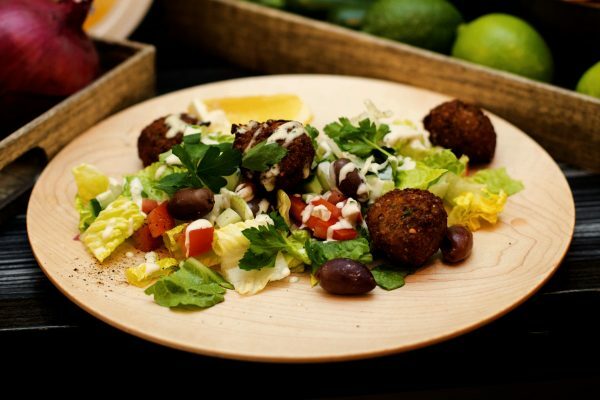 Our creations reflect better lifestyles. A fusion between style and fun to share with friends. Warm touch of wood, soothing sound to use and beautiful ergonomic curves. We are over 2215 000 people to use them daily. Buy online for USD $100.00- 124.00$ CAD, Variation in exchange rate USD: adjusted while purchase. ''Chop Chop'' maple wood, vegetable and fruit cutter. The Finishing of our Knives is Impeccable. We have 12 years of Experience in Maple Wood Blades. Need help preparing your meals? OUR CHILD'S KNIFE IS EQUIPPED WHIT A HANDLE THAT ALLOWS A SAFE AND REASSURING OUTFIT. 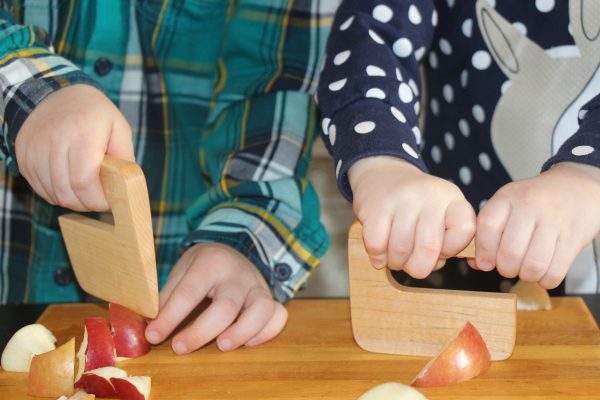 Our maple wood knife is safe for kids. The cutting blade is safe for children and does not cut the skin. It promotes the enjoyment of children to learn and accompany to their parents to the preparation of food! It is manufactured mainly by hand. There is a 1-year warranty against manufacturing defects or cracking. AGE: From 3 years or 2 years with adult supervision. Materials : maple wood from plantations. Dimension : Height 3.5 ” length 3.75 ”, 9 cm x 9.5cm. After use wash in moderately hot water. With mild soap, rinse and dry. Let dry before subsequent use. apply a coat of vegetable oil. 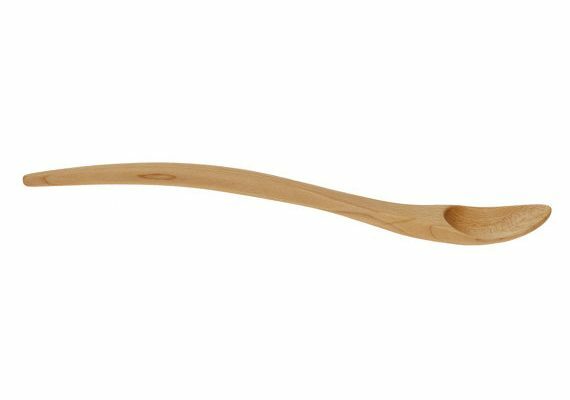 And also the complement to your wooden utensils sets. We are over 210 000 people to use them daily. 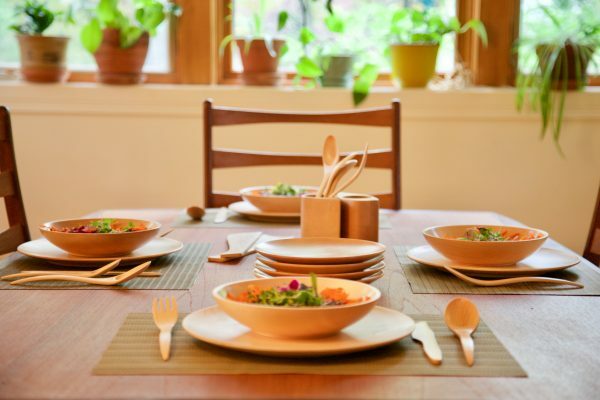 Wood is rewarding for food and is an insulator. The food cooled more slowly. Contemporary design. IT IS IMPORTANT NOT TO SOAK IN WATER AND EMPTY ANY LIQUID AFTER USE. Maple wood does not crack, which protects the pathogenic bacteria. 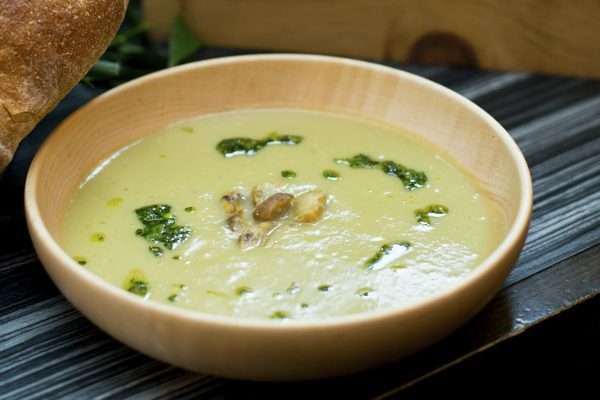 Since they are not used for cooking, they do not become saturated. Generally their lifetime is over 12 years. We offer a 1 year warranty against cracking arisen naturally. 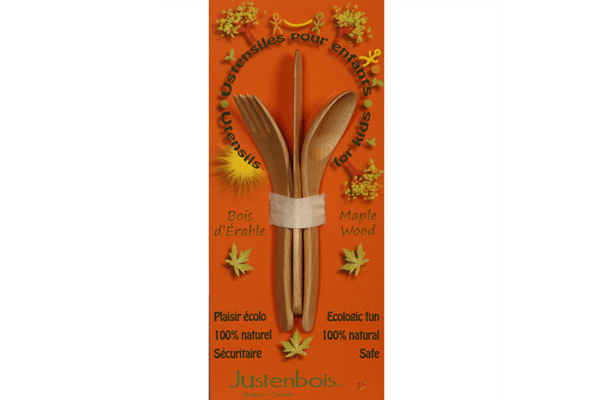 JUstenbois produces its products in an equitable SUSTAINABLE MANAGEMENT. Even in the long term, it is not necessary to recover with natural treatment or oil. We do not recommend the dishwasher. A good size ideal for any type of healthy meal. It is very popular. Wash with a mild dish soap after use and wipe with a cloth. Everything you need for pleasant meals. The visual of the wood is inviting !! Gently for the baby's mouth. The slightly raised spatula allows a good setting in the mouth. 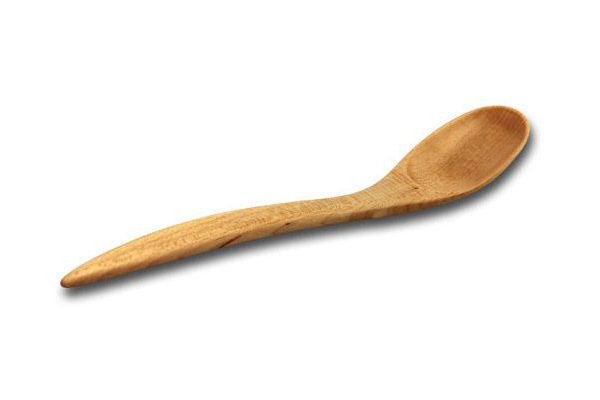 This little spoon has been a success for years. 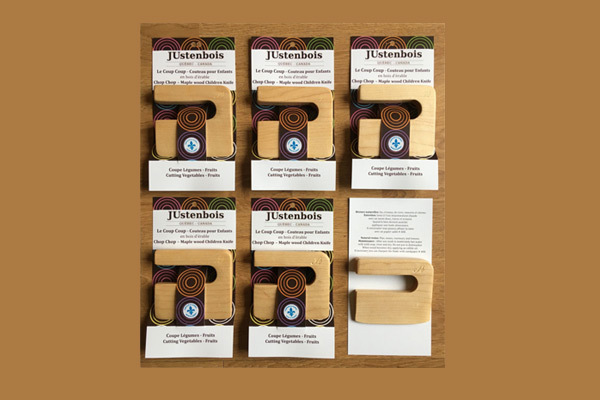 JUstenbois is proud to launch its new product, the MiniDME! 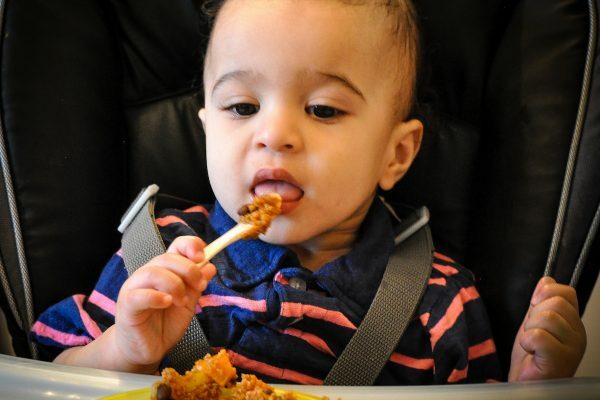 This carefully designed spoon, in order to meet the DME (Baby Led Weaning) standards, is the very first on the market to be safe and ergonomic. 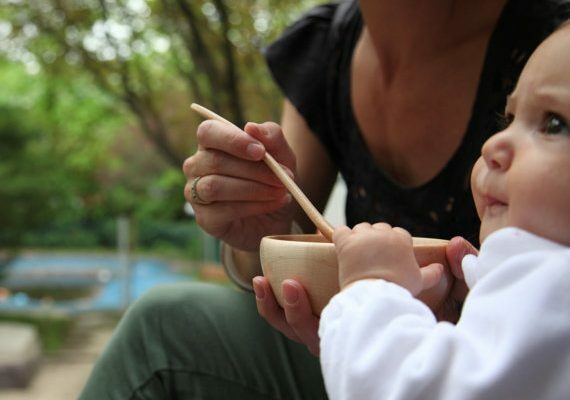 The Maple Wood MiniDME allows your child to practice his motor skills and experience safe, self-contained food. Its shape is comfortable, there is no heat that is transmitted to the outside. 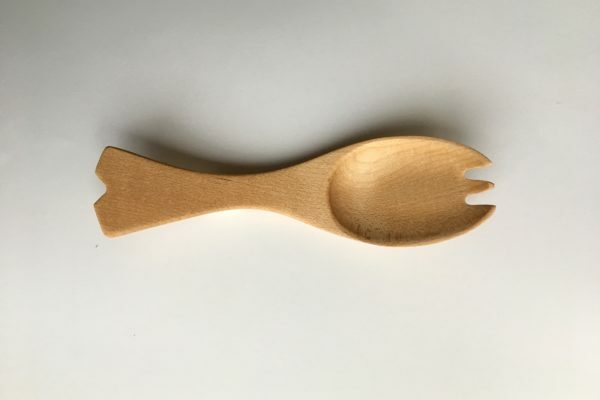 It is the perfect complement to our Mini Spoon for baby. You have several apprentice cooks to make work? Enjoy this group of 6 affordable knives. 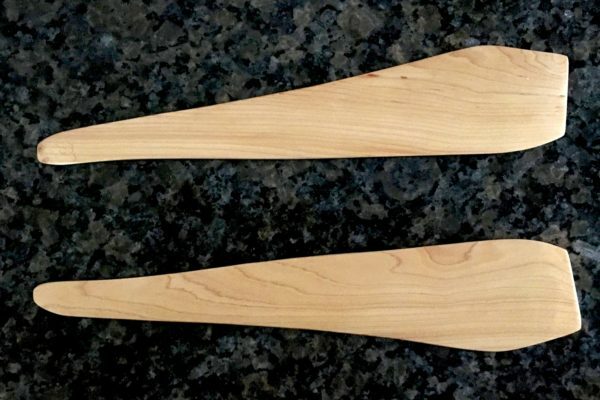 We have 12 years of experience in maple wood blades. 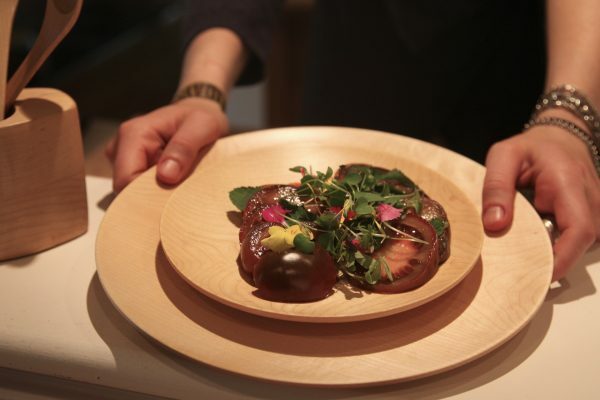 It promotes the enjoyment of children to accompany their parents to the preparation of food! It is made entirely by hand. Children like to imitate their parents. Offer them the same cutlery as you. 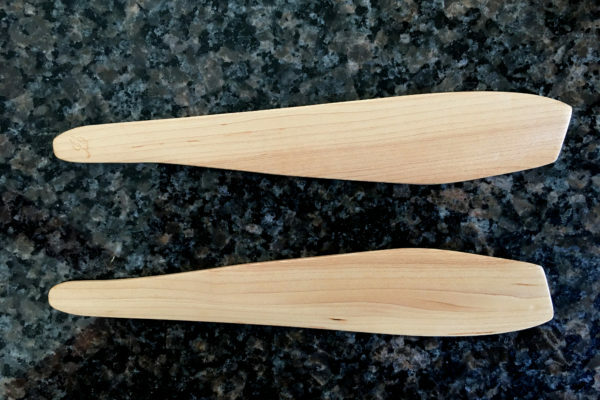 They will thus be able to benefit from the same advantages provided by wooden utensils. 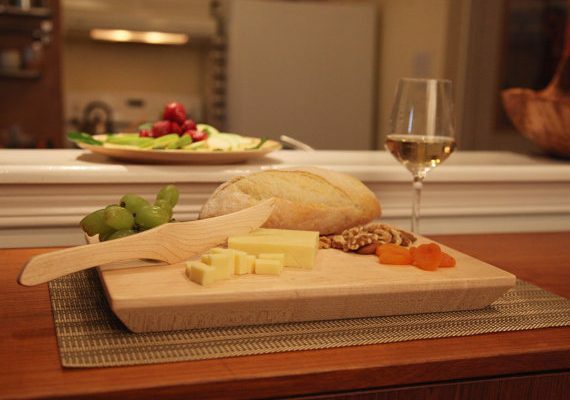 Contemporary board - ruby cut, made of one piece of maple wood. An exemplary simplicity. A nice look while being very effective. For outdoor enthusiasts. 3 in 1, the border allows to cut the tender food.